2018 AACA Fall Hershey Meet Photo Coverage: Classics By The Thousands! (Photos by Joe Grippo) – Traditions are fun, right? For decades, the Antique Automobile Club of America has had a massive show in Hershey, Pennsylvania and that tradition continued recently in a familiar location. The weather may have been a bit moist but it was still an impressive turnout and as varied a turnout as you can possibly imagine for any sort of automotive event on Earth. If the lead photo did not get your attention, you are hanging out at the wrong website. Joe Grippo continues to be our “Johnny on the spot” in the Pennsylvania area and thankfully he’s right in the thick of things where he lives in the Keystone state. Joe’s radically awesome because he’s an all-encompassing car guy like the rest of us. Drag racer by day and lover of all things with tires by night, he can appreciate a rumbling super stocker just as much as he can appreciate a clean Nash Rambler that the owner has loved up on and preserved. We have more stuff from this show coming, we hope you dig today’s collection of photos. When Nature Attacks: Watch As A Falling Rock Mauls A Ford SUV In Tibet! BangShift Question Of The Day: Would You Willingly Go To A Skid School? Joe…Brian…ANYONE!! 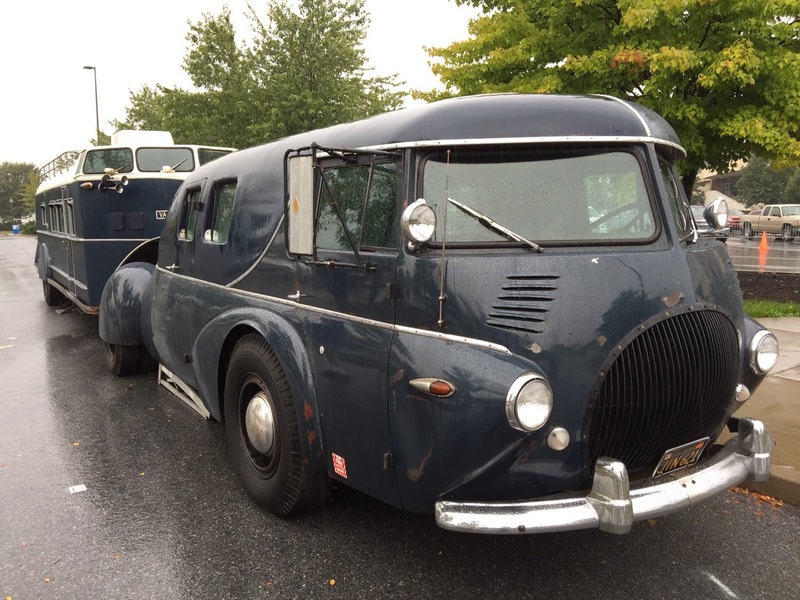 What is the car and what is it towing ? That REO motor home deal was at the Petersen Museum forever.